Self-awareness is a BEautiful thing, although sometimes you find out that what you become aware of isn’t so pleasant. This happened to me and it really helped me to understand something I find myself doing from time to time. The wonderful gift of awareness is the ability to change what isn’t working. I saw a Facebook post from a friend of mine that shared some activities he’d been doing. One of them happened to be some writing he was contributing to on some large online sites. Another person I am friends with was sharing how they were leading some workshops in their area of expertise. In each of these cases I had all kinds of thoughts and feelings come up. My first and immediate response was not one of joy for them, but of disgust and frustration. 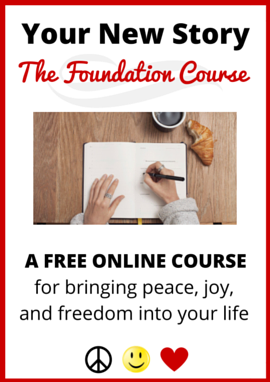 I had all kinds of thoughts like, “Why are they writing for that site?” and “I should be writing there” or “I need to be doing that!” I was feeling annoyed, frustrated and jealous. It seemed like a thousand thoughts and feelings were rushing at me and through me. It didn’t take more than a minute of this before I became an observer of what was happening. We can’t become aware of anything unless we first observe. I realized that I was getting a charge here and thought more about what was going on. I realized I was comparing myself to those people. It was then that it occurred to me how evil comparing really is. There are two deadly things that occur when we compare to others and they both happened to me. So in the end, my comparing of myself to my friends only reinforced my false belief that I’m not good enough and that I’m not important. I had all those feelings because I was reminded once again that I’m not good enough. The truth is, I am good enough and I am important. The truth is, my friends are very talented and deserving to do all the things they do. The truth is, I support, encourage, and cheer my friends on to be the best expression of themselves. The truth is – their accomplishments say nothing about me (good or bad). If I’m wearing my glasses of false belief, I’m going to stay small. When I compare myself to others, the false belief is amplified and the feelings I produce as a result do as well. If I walk around feeling pissed off, frustrated, jealous and angry, how much room am I going to have for my inherent qualities of love, creativity, joy, flexibility, intelligence and passion? Very little, right? The only way I’m going to live the dreams I have for myself is to be the BIGGEST and FULLEST expression of mySELF. My authentic self are not those feelings but rather my inherent qualities. Those inherent qualities get crushed and thrown aside when we walk through life wearing our glasses of false belief. I know that when I compare myself to others, it’s my own false beliefs showing up again. I know that I don’t need to compare myself to others. In fact, I shouldn’t do it! The next time I find myself comparing I’m going to remind myself that I don’t want to be small and instead I want to be the best expression of my authentic self. My/Our best expression is completely independent of what others think and do! Completely independent. Just like it’s literally none of our business what others think of us it’s also literally none of our business what achievements and accomplishments others make. 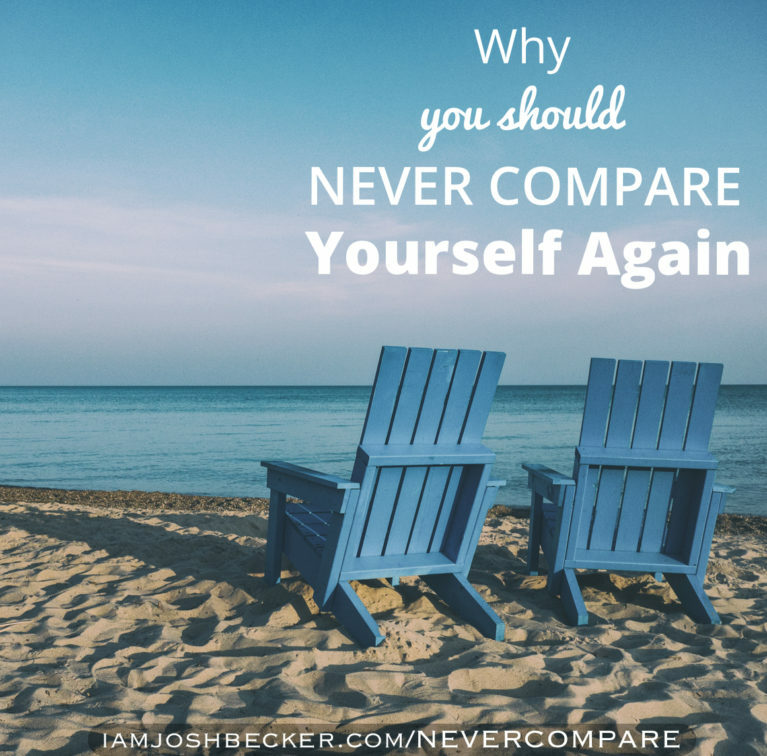 Do you find yourself making comparisons to others? When you do, what thoughts and feelings come up for you? Can you make out what false beliefs you’re carrying around? **Wanting to make changes in your life and realizing that the whole “doing it my own” thing isn’t working for you? I work exclusively with people who aren’t just wanting to make change but are ready. If you’re someone who is done with the blame and complain game and are ready to live your best life, let’s set up an introductory call to see if we’re a fit!